These 5 hypnosis sessions will transform everything you thought you ever knew about making money and experiencing abundance. 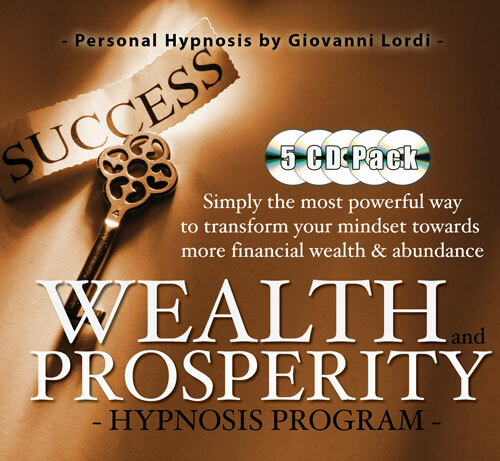 Contained in this pack are 5 full length recordings by acclaimed hypnotherapist Giovanni Lordi. They will simply create an unstoppable force for creating a wealth driven mindset. Each title contains powerful techniques and methods to transform all parts of you into alignment towards creating better financial circumstance. Whether you own a business, are an employee, or want to maximise your investment opportunities, this program will help with all of this.